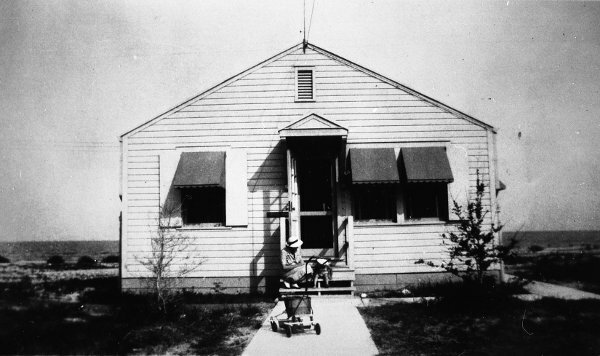 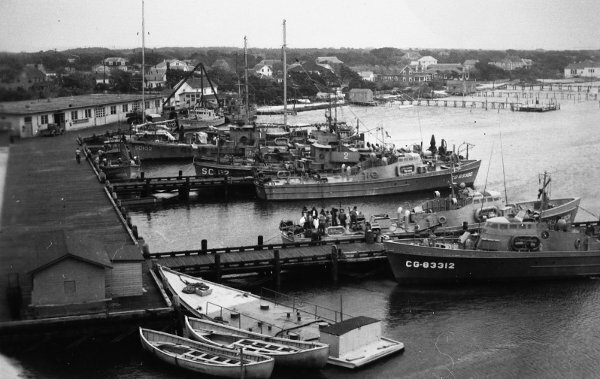 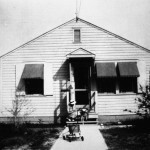 During World War II, the US Navy built a base on Ocracoke Island. 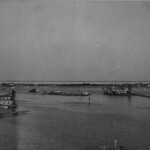 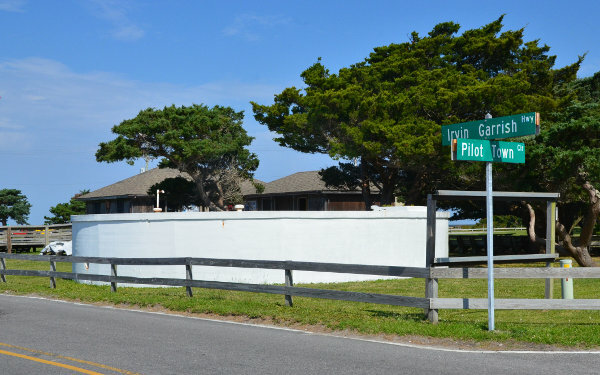 The primary facility was located where the southern ferry terminal, National Park Service Visitor Center, public parking area, and Ocracoke Preservation Society Museum are today, but the Navy also had an installment at Loop Shack Hill along Highway 12, which defended against U-boats. 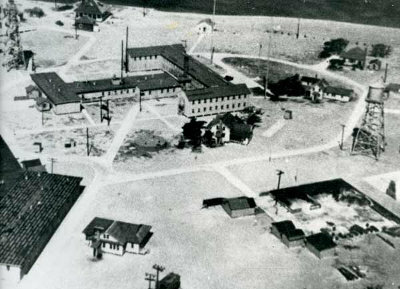 The purpose of this naval base (along with two other section bases in North Carolina) was antisubmarine defense and coastal patrol. 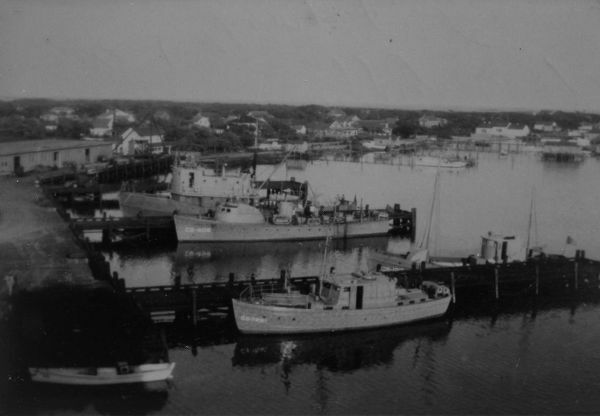 A “section base” was a part of the Navy’s Inshore Patrol, and controlled not only coastal patrol, but also minesweeping and harbor defense. 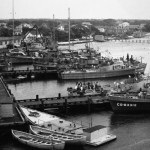 These naval bases effectively ended the U-boat attacks that, in early 1942, sank more than 75 vessels off the North Carolina coast. 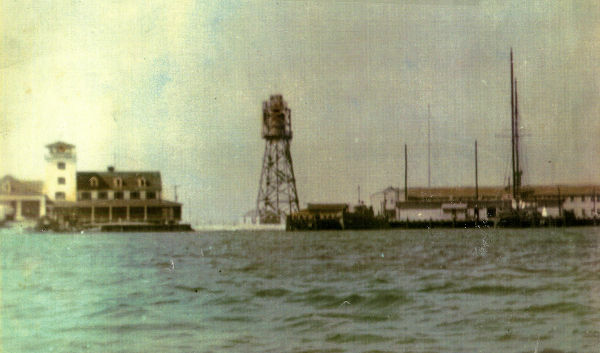 Operations began in late spring 1942, when the Hatteras Minefield was created between Hatteras and Ocracoke in order to protect merchant ships. 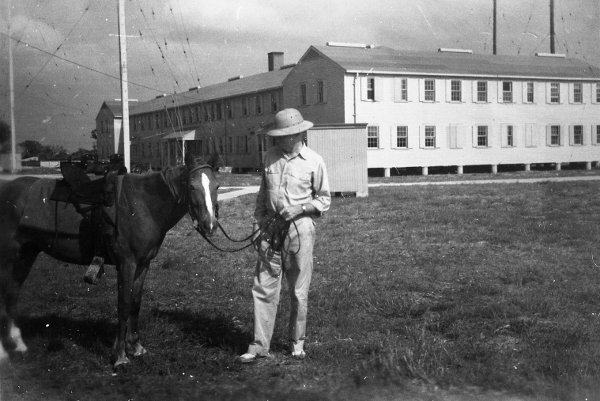 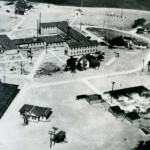 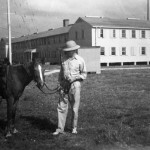 Buildings on the base included a 30-bed hospital, barracks, support facilities, and an administrative building. 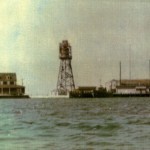 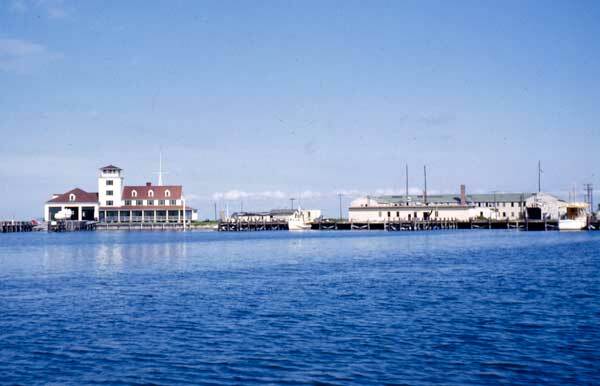 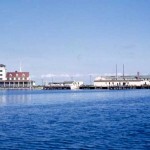 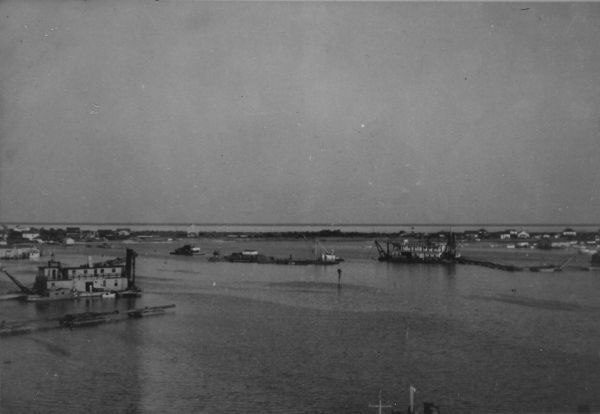 In addition to the buildings, three piers were constructed in the harbor, which was deepened to accommodate Navy and Coast Guard patrol boats. 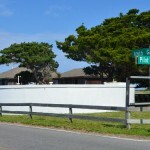 The base on Ocracoke also paved the first concrete roads on the island; some of those roads were still in use in the 1970s and early 1980s. 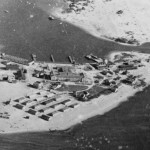 For years after the navy left, islanders continued to use the military landing mats for driveways and in areas of very soft sand so cars would not get stuck. 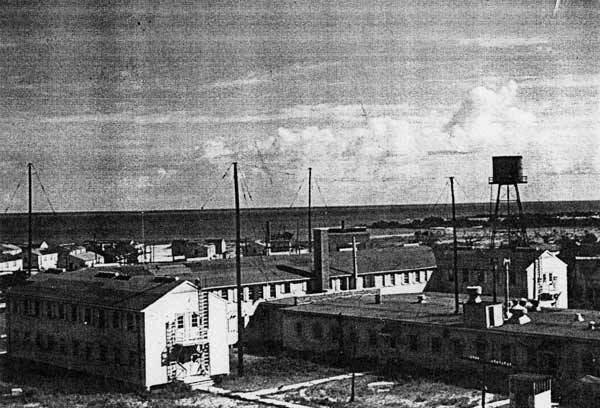 The base was officially commissioned on October 9, 1942, but by this time, its original purpose was long gone; the minefield was very hard to keep up, and after five ships were accidently damaged or sunk after wandering in the minefield, the program was terminated. 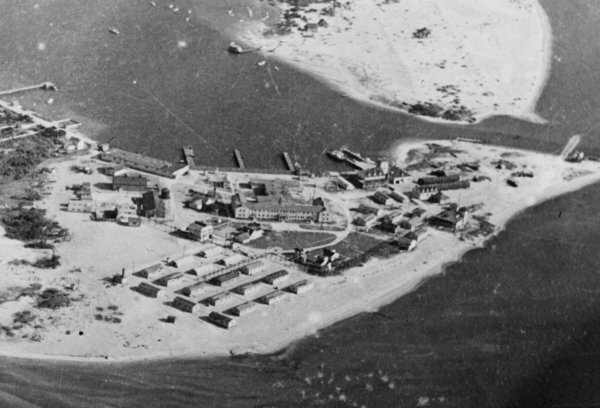 In 1944, the base was converted to an Amphibious Training Base, where US Navy Beach Jumpers, a tactical cover and deception unit (the forerunners of the Navy Seals), were trained. 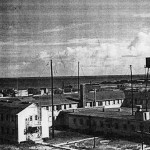 It was changed again the next year to a Combat Information Center, but eventually closed in 1946. 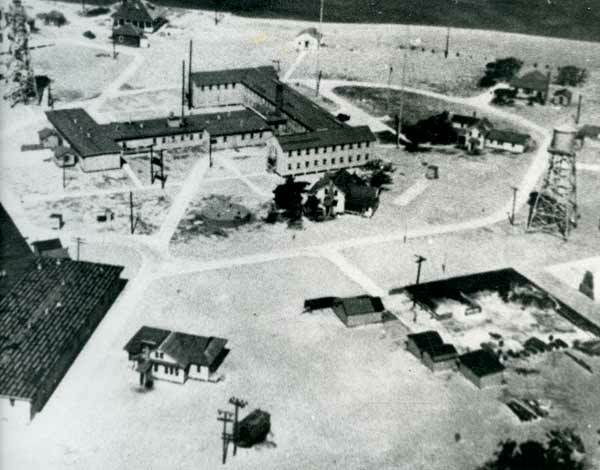 The only remaining structure from the base is the large, round white cistern located next to the Visitor Center. 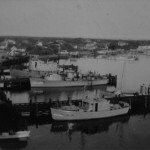 For many years after its closure, islanders referred to this area as “down base.” Even today, a few old-timers still call it by this name.